Toyota says the new fourth generation Prius has delivered exceptional results in an academic test of its ability to run on electric power and with zero exhaust emissions on busy commuter journeys. The results of research by a team from the University of Rome confirm how Toyota has successfully taken the efficiency of its most famous hybrid to new heights. Data gathered from more than 2,200 km of driving on a typical Rome commuting journey reveal that the test Prius cars spent an average of 73.2 per cent of the journey time (62.5 per cent of the journey distance ) producing no tailpipe emissions. These figures included periods when the car was stationary, with the engine automatically switched off. The results were even better in urban areas, where noise, pollution, and air quality are of special concern. On these sections of the route, Prius achieved zero emissions for 79.4 per cent of the journey time and 76.3 per cent of the route distance. The study project, commissioned by Toyota Motor Italy, used a team of 20 drivers, evenly divided between men and women in age groups up to and in excess of 35 years of age. There was an equal balance between those who had driven a hybrid car before and those with no experience. Each participant drove the same 37km route across Rome and back at three different times of day – morning, afternoon, and evening – using a standard Prius Style model on 17-inch wheels. For each journey the Eco drive mode was selected and the air conditioning was switched off. Speed limits were observed at all times. Thanks to Toyota’s leadership in developing hybrid technology, the new Prius has achieved the greatest leap yet in emissions and fuel economy performance between successive generations of the world’s best-selling hybrid. The Prius’s achievements go beyond increasingly impressive efficiency, however. 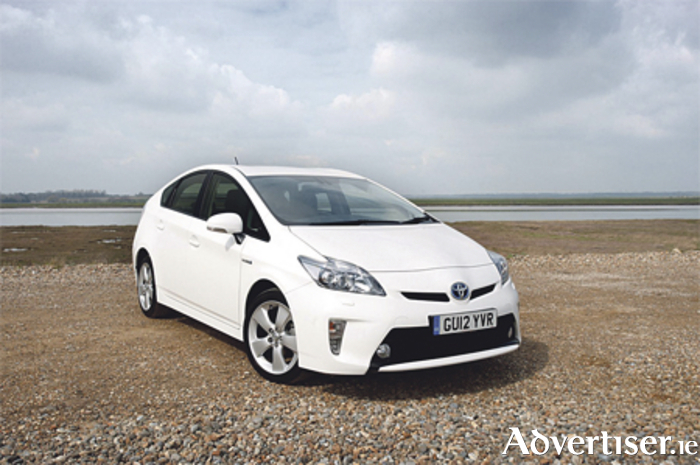 Some 18 years on from the launch of the original model, today’s Prius is designed and engineered to deliver an all-round feel-good driving experience that is intuitive, quiet, and responsive. Call in to Joe Lynch & Sons Toyota today to see the fantastic range of vehicles on offer. Alternatively, call (090 ) 6492734 for further information.